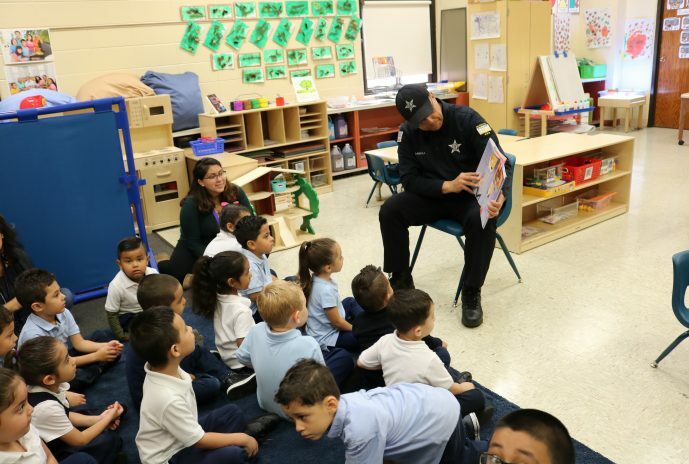 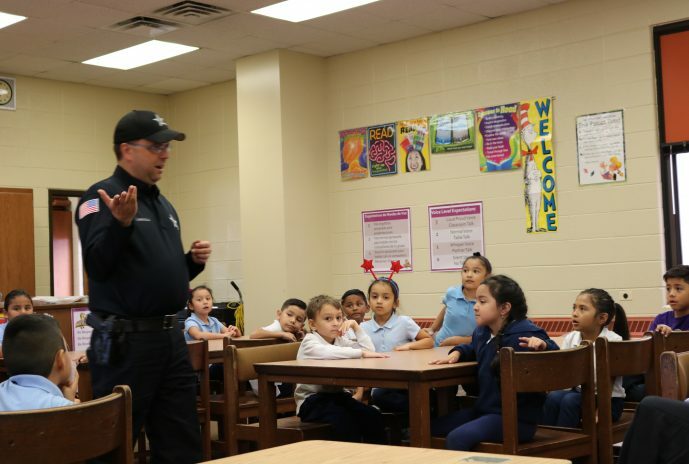 On October 26, 2018, Preschool, Kindergarten and First Grade students at Melrose Park Elementary School received a visit from Officers Guzman and Lascola to discuss personal safety. 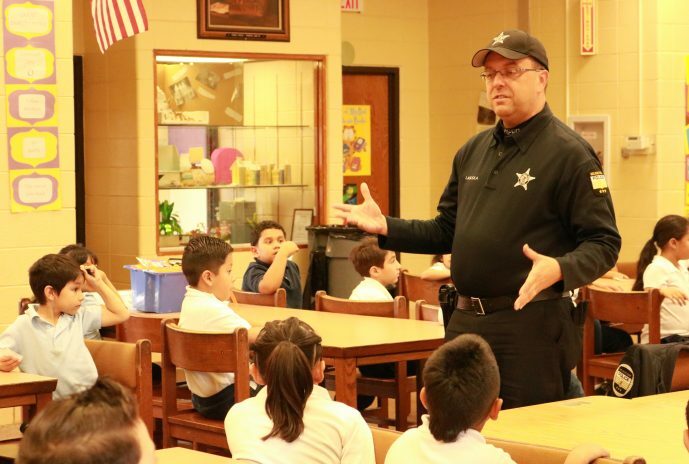 Students learned tips on how to deal with encountering a stranger, becoming separated from their parents as well as safety while trick or treating on Halloween. 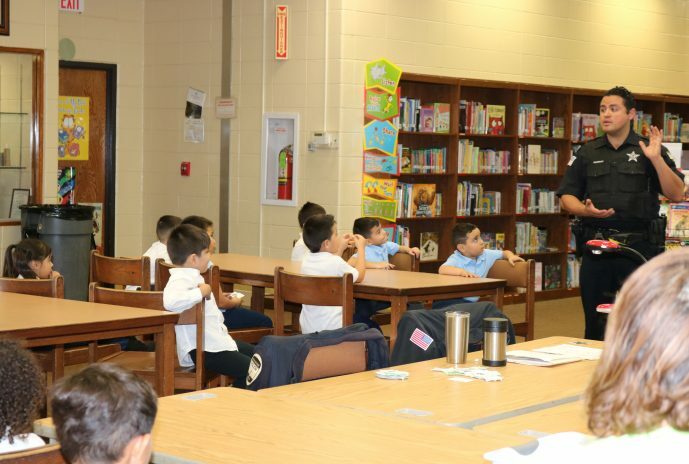 Students were excited to receive an honorary police badge.